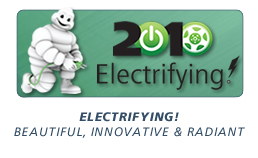 2010: Electrifying! Beautiful, Innovative & Radiant. Thierry Dumaine, 50, lives in Nice, France and has been a student of the arts for more than 20 years. He is currently an art teacher for children and he is interested in all types of design including graphic, transportation, environmental and product and builds special bicycles. 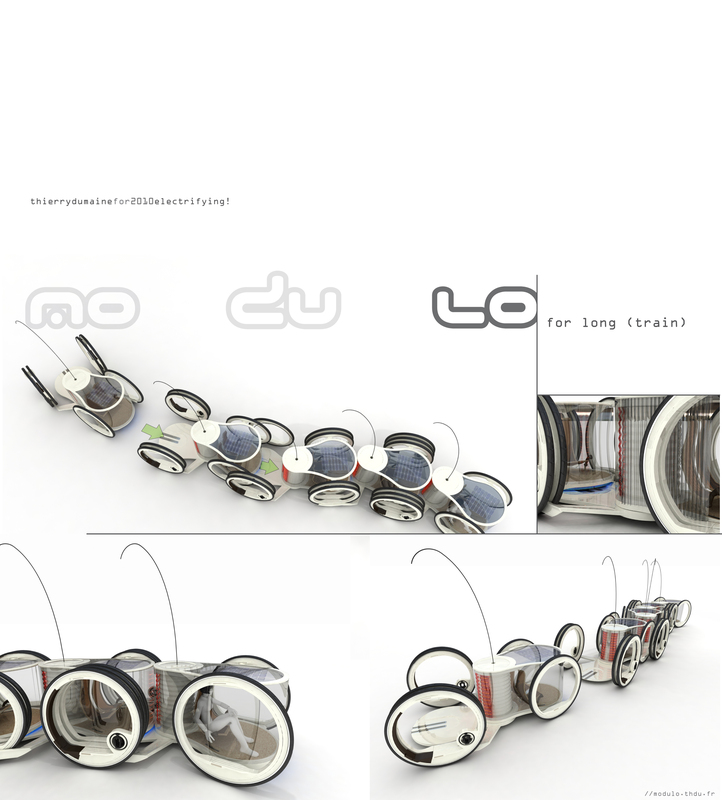 Modular Car project has three versions: Mo version; Du version and Lo version. The Mo version is the monocyle. 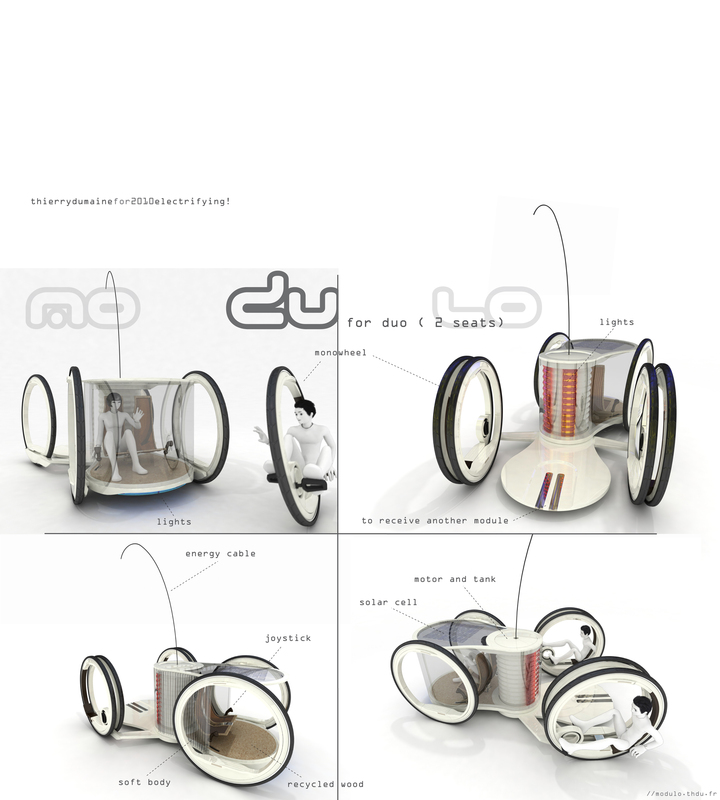 The Du version is a four-wheel car with two monocycles to form a six-wheel car. The Lo version is when many cars are joined to form a train. The Mo has no motor and you use the pedals like a unicycle. 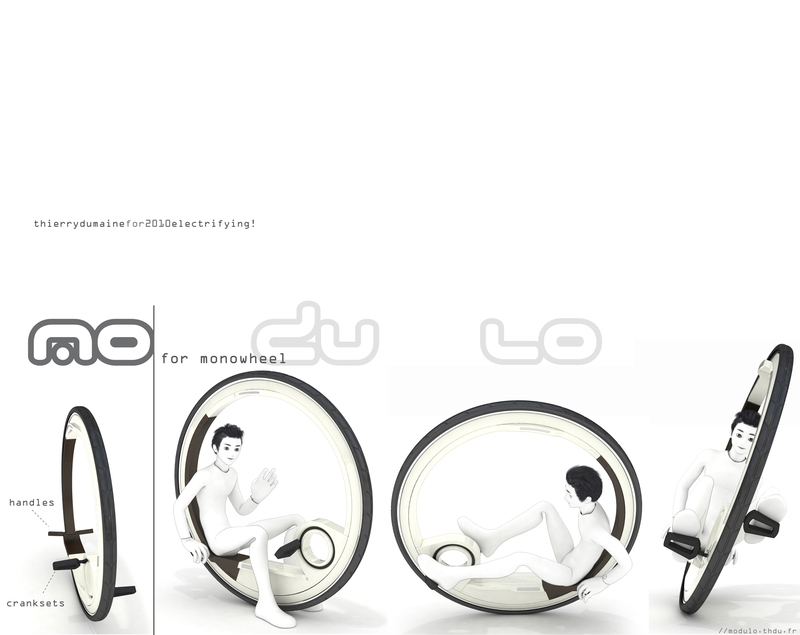 You can attach and detach the monocycle from the car at any time and it is for one person. 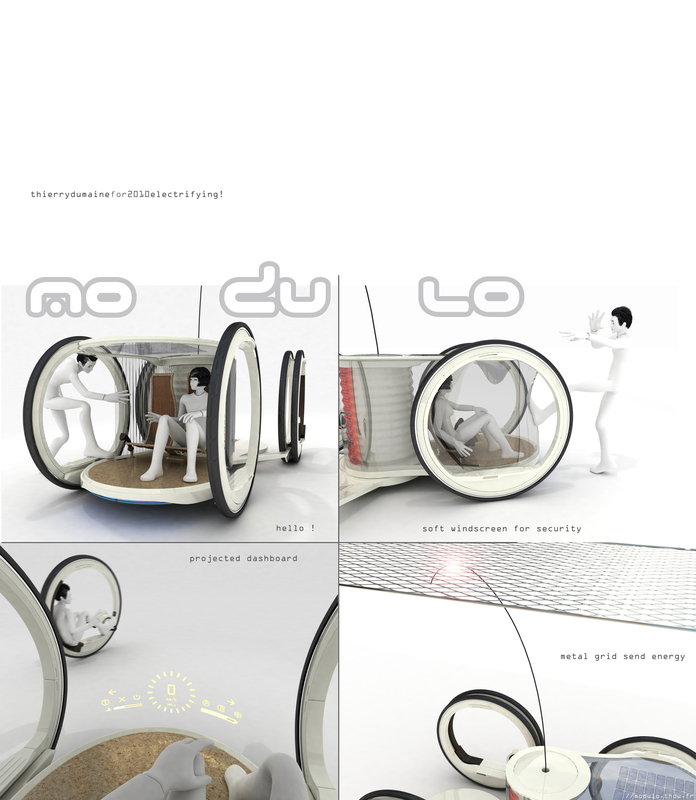 The Du version is the basic form of the car and can accommodate two people. The storage and production of electrical energy is located in the central axis of the car. The engines are placed in the bottom of the wheel rims. 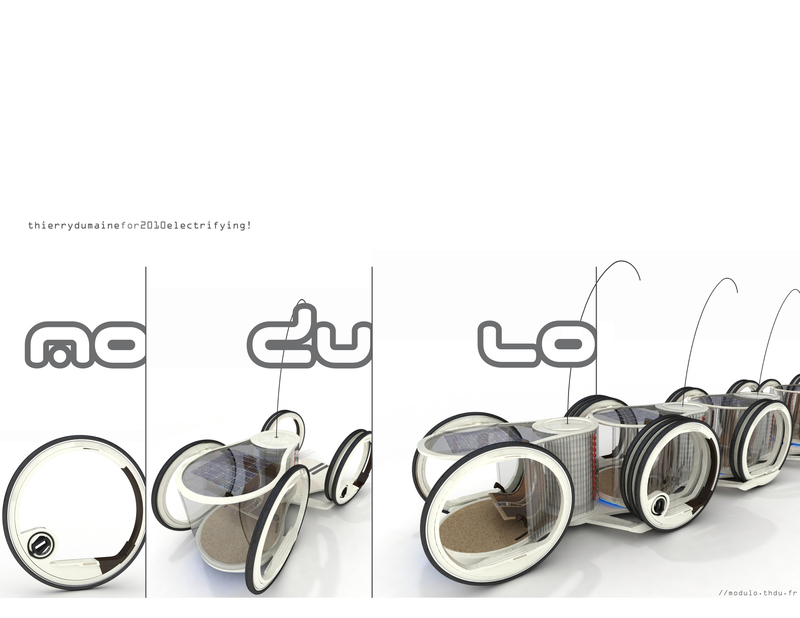 The wheels are hub less to improve visibility, weight and to for easy access to the car. An electrical cable can be deployed to nets placed in the air to provide energy to move the car or recharge the batteries placed in the central axis of the car. The nets are installed in some streets and the car is connected to their GPS position to get closer in the case of a low battery. The Lo version is when many cars and unicycles connect to each other for form trains of different sizes. This system is more suited to long distance travel because all the motors and batteries are pooled.